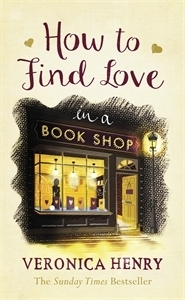 Any book that is set around a bookshop is always high on my 'I need to read that book' list, so the moment I started this I knew i was going to love it! It is such a warm, comforting read that the reader immediately feels as is if they are settled in the corner of the Nightingale Bookshop watching on as the story unfolds. Emilia is the main focus of the story as she struggles to deal with the loss of her father, and struggles to keep his bookshop afloat. The bookshop has always been a main part of village life in Peasebrook but times are changing, and Julius was never the best at keeping on top of the finances, so the threat of the property developer taking over to demolish the store looms ever closer. You soon find out that Julius had been part of many peoples' lives and they continue to visit the store and it is fascinating to see the glimpses into their lives too. There are a wide range of characters that we get introduced to and this adds to the depth of the story as we see happy and sad times for them all and it is amazing how just how comforting the bookshop seems to be to them all. An absolute delight to read and one of my favourites from Veronica Henry!